At the SXSW Sonic panel, SEGA debuted the first music from Sonic Forces by issuing the game’s main theme. What we have below is the instrumental version as composed by Tomoya Ohtani. In the final version, vocals will be added. 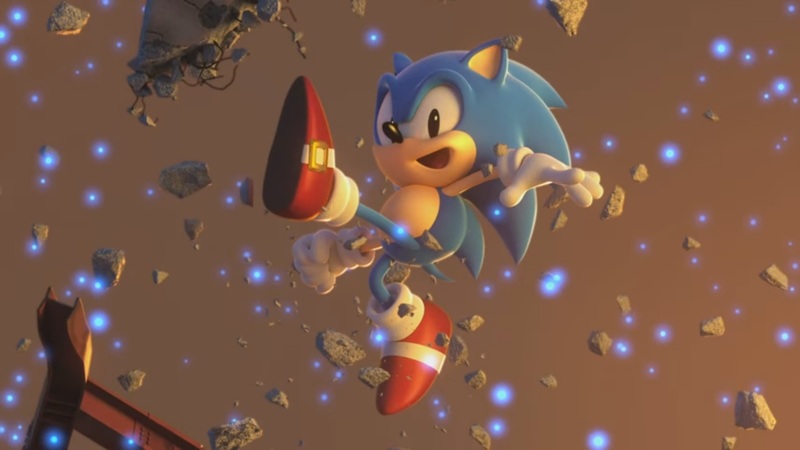 SEGA aired a trailer for Project Sonic 2017 at its panel for the series at SXSW today. It was the same video from last summer, but with something new at the end: an actual name. Project Sonic 2017 is now known as Sonic Forces. The game will launch this holiday. 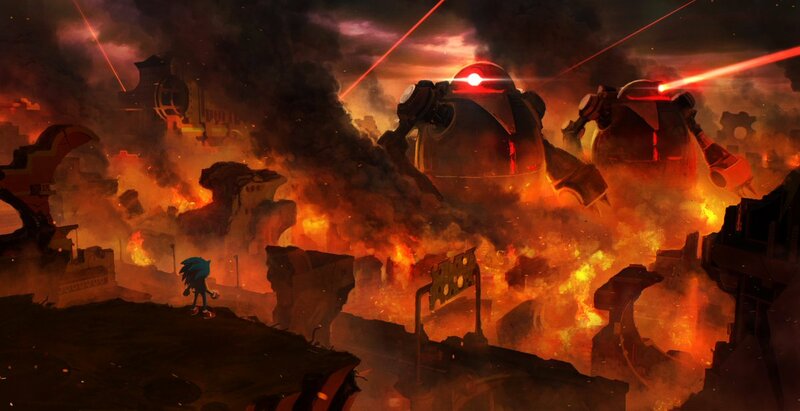 SEGA said that the game will have heroes as well as forces of evil fighting it out for control. 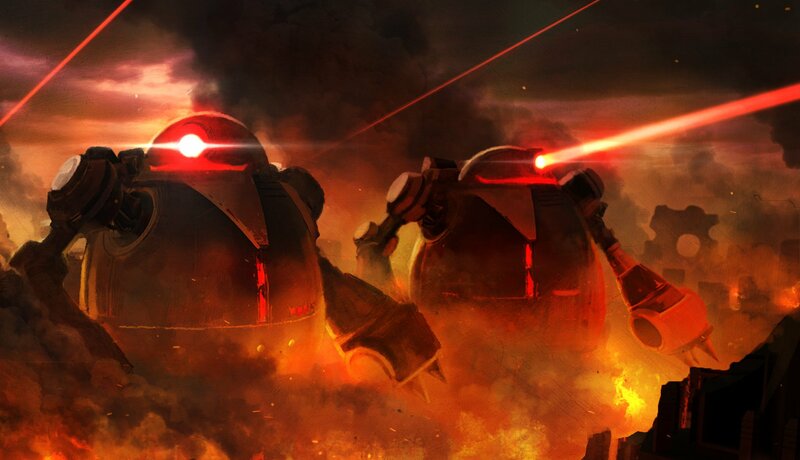 The official Sonic the Hedgehog Twitter account has just posted a new image that shows a couple of giant Eggman robots from the Project Sonic 2017 debut trailer that we all watched back in July. This means that we’ll be able to learn more things about this Sonic project at SXSW Gaming, which will take place 2 days from now in Austin, Texas. SEGA hasn’t had much to say about Project Sonic 2017 since the original announcement last July, but we are finally receiving an update soon. A Sonic panel will be hosted at SXSW 2017 next month, and a “new reveal” is planned for the game as well as Sonic Mania. An “exclusive behind-the-scenes look” is promised for both titles. Sonic Team’s Takashi Iizuka will be on hand for the panel along with SEGA’s Aaron Webber and Mike Pollock plus voice actor Roger Craig Smith. Surprises are also teased. The Sonic SXSW 2017 panel will be hosted on March 16 for about an hour beginning at 3 PM PT / 6 PM ET / 11 PM in the UK / 12 AM (March 17) in Europe. This week, SEGA held a special meet and greet event in Japan. A number of questions were answered at one point, and some small but interesting information about Project Sonic 2017 was shared. Twitter user BlueStorm_SONIC relayed the information. First, it was mentioned that Project Sonic 2017 will feature a new character. Unfortunately, specifics weren’t shared beyond that. Another question touched on how connected the game is to Sonic Generations. While the two are separate, you’ll be able to play both classic stages in 2D and modern 3D stages, and another feature will be added on top of that. Project Sonic 2017 is planned for a 2017 release on Switch and other platforms. After teasing fans for quite some time, the next Sonic game from Sonic Team made its first appearance during the franchise’s 25th anniversary party Friday night. Project Sonic 2017 was given its first trailer, and NX was even confirmed as one of the project’s target platforms. SEGA just wrapped up a party to celebrate the 25th anniversary of Sonic the Hedgehog. At the event, the series’ next 3D game was finally announced. Sonic Team is developing Project Sonic 2017. 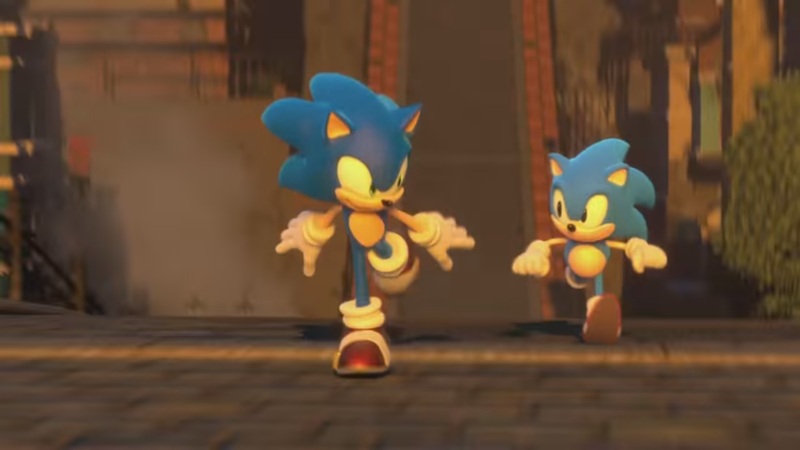 The YouTube trailer teaser, “When things look their darkest, even heroes need a helping hand.” Project Sonic 2017 appears to feature both Modern Sonic and Classic Sonic, similar to that of Sonic Generations. Project Sonic 2017 launches Holiday 2017. It should receive a proper title before then.